Fitment: This is a custom motorcycle component that requires basic fabrication skills and mechanical acumen to install properly. If your motorcycle already has a seat hinge and spring bungs installed on the frame, you're halfway there, though some additional modifications may be required. 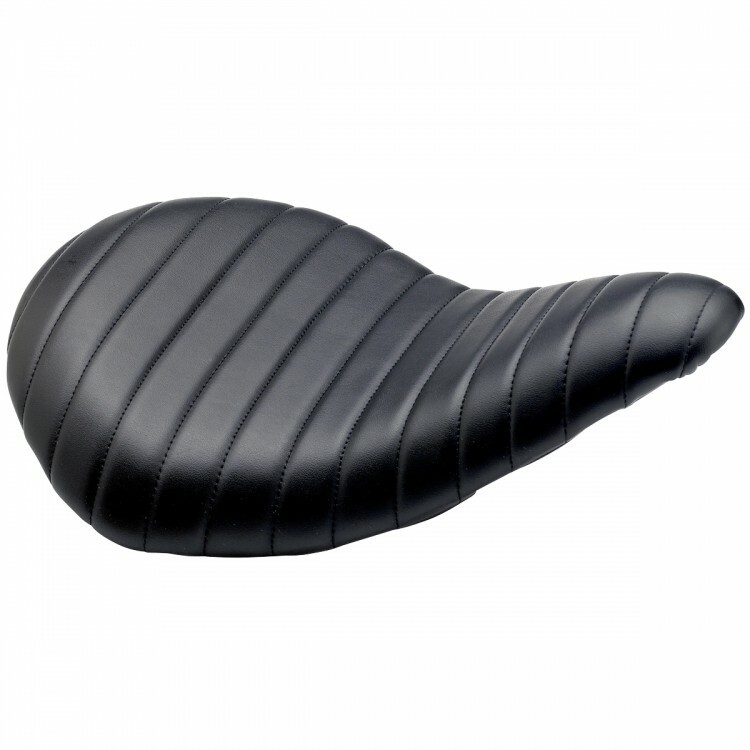 Our Slimline seat looks best on bikes with steep backbones and short rear ends, such as many Japanese and British chops, and many rigid H-D XL's. Construction: Heavy gauge stamped steel pan with high rear kick for added support. Stamped-in ridges on the pan increase stiffness and give the pan a clean, classic look. 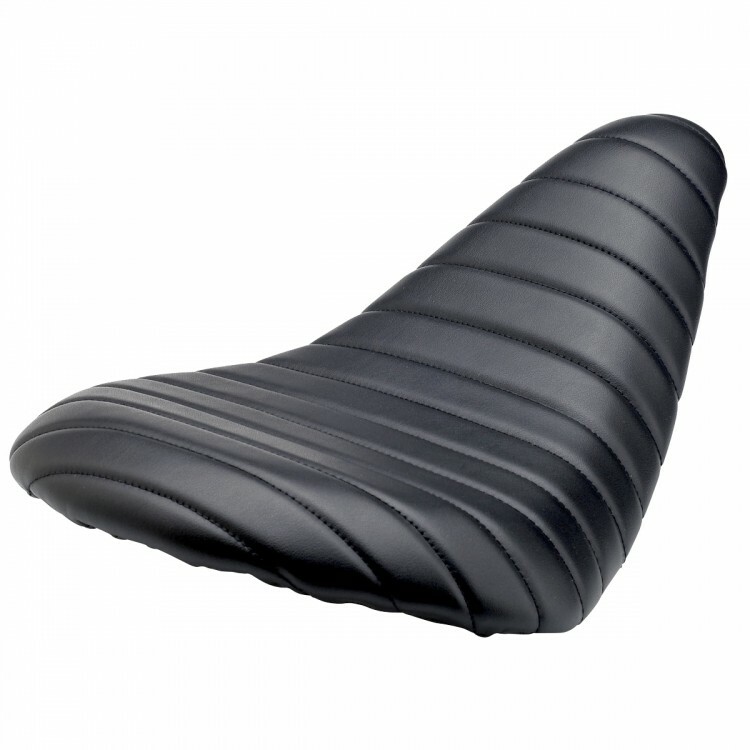 Cover is hand stitched heavy-duty vinyl and is fastened to underside of seat pan with rivets for durability. 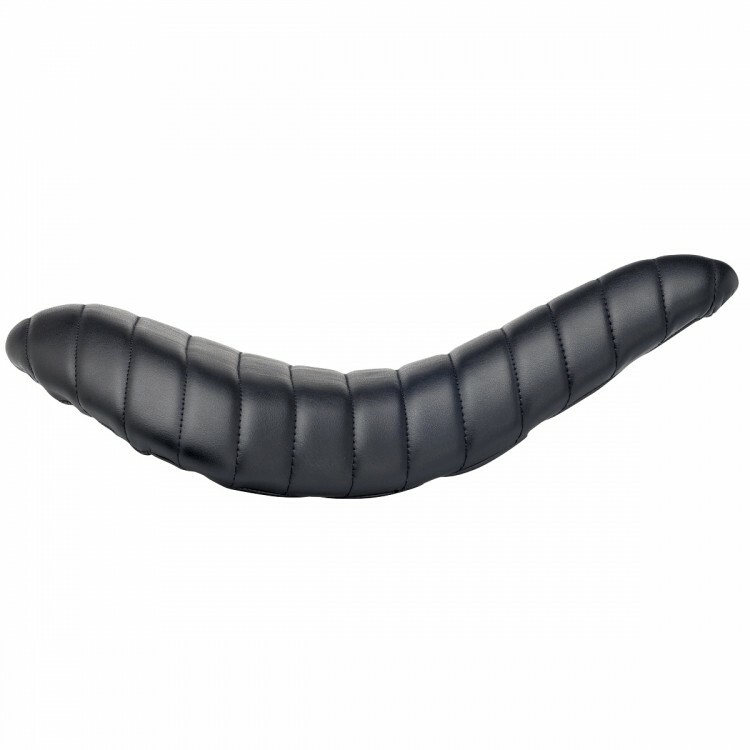 Foam is molded polyurethane, approximately 1” thick. Installation details: A unique adjustable carriage bolt system on the underside of the seat pan allows you to fine tune the location of the seat hinge and both springs. 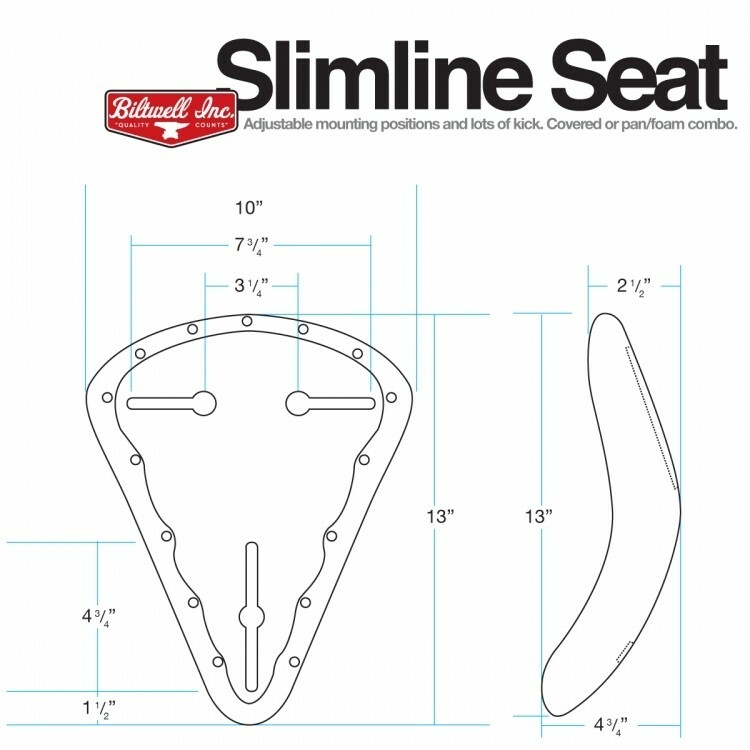 This is especially helpful if you are installing our Slimline seat on a frame with preexisting spring bungs welded onto the rear cross member. This is not a bolt-on product.